It was my pleasure to meet Kurt Sonnenfeld and his wife, Paula, just before the International Symposium on 9/11 Truth and Justice held at The National Library in Buenos Aires, Argentina, on 11 September 2009. This was my second visit to this beautiful country, since I had been flown there the year before to present a series of three lectures on 9/11 and one on JFK, which had received considerable attention in the media, with seven substantial articles in the press, including two in TELAM, the National News Service of the Republic of Argentina. 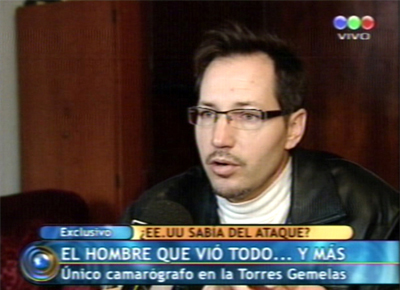 I had also been featured during a 20-minute television interview that was broadcast across South America. On this occasion, Kurt and I were among the members of a panel of experts who were concerned about the events of 9/11. 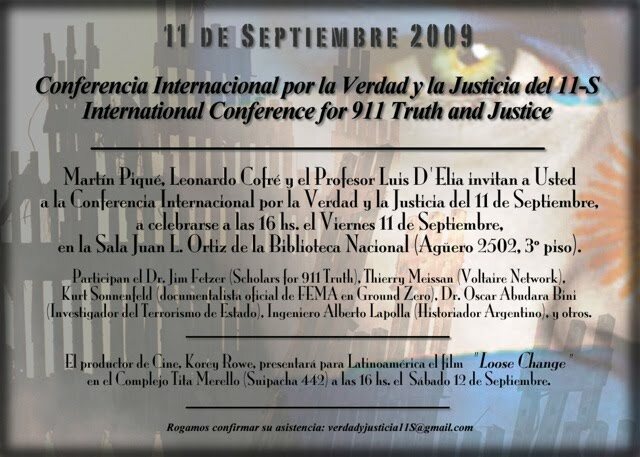 Kurt’s wife, Paula, served as my translator as I presented a Powerpoint lecture, “Was 9/11 an ‘Inside Job’?”, which has been archived several places, including on the home page of Scholars for 9/11 Truth, http://911scholars.org. Kurt and Paula are a wonderful pair and their daughters are terrific children. The symposium was a very successful event, with more than 200 concerned citizens in the audience and six or seven television cameras covering the event. 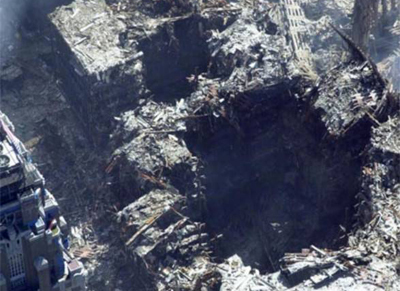 I believe in Kurt and expect that his footage, which has now been made public, will eventually reveal clues as to how the towers were destroyed, which the government has yet to explain. Former high-ranking FEMA official, Kurt Sonnenfeld, arrived in Buenos Aires, Argentina, seven years ago with a return ticket in his pocket. All he wanted was a short break from the ineffable injustice and increasing harassment which had been mounted against him in the United States. He hoped his troubles would drift away by the time he returned.He dropped into his suitcase the rough footage from his five-week Ground Zero assignment as official videographer, with unlimited access to the scene of the crime. 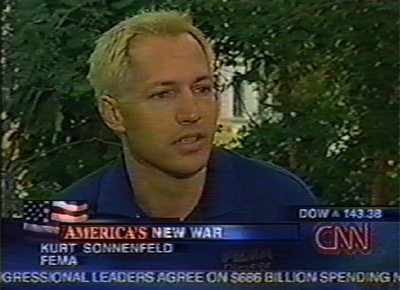 Because of Sonnenfeld’s emotionally and physically lacerating ordeal, which began shortly after the 9/11 events, he never turned the tapes over.For the U.S. Government, Kurt Sonnenfeld is a troublesome witness on the loose, whose documented evidence can expose its fraudulent account of the attacks. This places him in a unique, but extremely vulnerable, position. Washington’s determination to do whatever it takes to retrieve Sonnenfeld’s material and to silence him has converted him into the refugee he never intended to become. Only from reading his book “El Perseguido” (Persecuted) is it possible to fully appreciate the hell that Kurt Sonnenfeld has been suffering at the hands of his Government since before leaving his country. 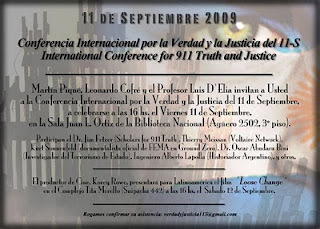 Voltaire Network interviewedKurt Sonnenfeld for the first time in June 2009, when his book had just been published and after the decision of the Argentinian judicial authorities to twice deny the extradition requests presented by the U.S. under specious pretenses. Unfortunately, this chapter is far from closed. Shortly before the ninth anniversary of 9/11, Voltaire Network paid Kurt Sonnenfeld a visit in Buenos Aires, where he still lives with his Argentinian wife Paula and two twin daughters Natasha and Scarlett, knowing that he will never return to the United States, if he can help it. He replied to our questions, up-dating us on the recent developments that continue to put him and his family in harm’s way despite the round-the-clock police protection outside their door. Voltaire Network: At the time of our first interview, you still felt like the title of your book, “Persecuted”. How would you characterize your situation today? Kurt Sonnenfeld: In some ways it has improved because news of this injustice is spreading and our base of support is growing worldwide. In other ways, however, our situation has worsened because of the ongoing campaign of “dirty tricks” undertaken by US authorities. Fraudulent documents have been introduced into the courts, usually in an illegal manner — or at best, outside of protocol. This happened again just recently when Interpol Washington made a secret and unconstitutional intervention. In addition, we’ve been followed, our mail has been opened, our website was hacked, and even our garbage has been stolen. A while ago a radio station here — notorious for its close ties to the US embassy — issued a completely false report that there was an order for my capture. Just a couple of weeks ago we received an e-mail from someone claiming to be an American living in Buenos Aires who wanted to meet with us. We checked the IP address and discovered that the server was located just outside of Langley and is registered to the Department of Defense! It’s a difficult way to have to live. Our twin daughters are ready to begin kindergarten and we are extremely preoccupied about that. VN: As you suggest, the latest extradition request from Interpol Washington is totally groundless and completely out of line. Could it be seen as an attempt to undermine Argentina’s sovereignty and override the previous court rulings in your favor? KS: Absolutely! It wasn’t so much a request as it was an order to just go ahead and ignore the Argentine legal process and send me to the US. The Interpol agency has no place whatsoever in making such an order — their role is merely to act as a liaison. In fact, their own constitution prohibits them from intervening in any way in the judicial process of a sovereign nation. What’s most disconcerting is that it was very insidiously introduced during a period of recess in the courts, obviously with the hope of catching some inexperienced stand-ins off guard and pressuring them to concede to their demand. Of course, that didn’t happen. They also introduced it outside of the proper channels, violating legal protocol, and marked it “confidential” — in a court process where transparency is the rule. Incidentally, Interpol has a rather sinister background. Former presidents of Interpol include Otto Steinhäusl and Ernst Kaltenbrunner (both generals in the SS of Nazi Germany), Reinhard Heydrich (also a general in the Nazi SS, and chief executor of the “Final solution to the Jewish question”), and Arthur Nebe (yet another general in the Nazi SS and leader of the Einsatzgruppen, under whose command at least 46,000 people were exterminated). Very recently (July 2010), Interpol President Jackie Selebi was found guilty of corruption for accepting bribes from a drug trafficker. 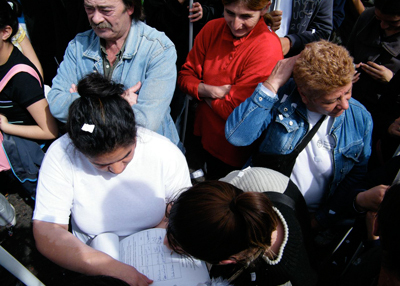 VN: A campaign to collect signatures was launched on 25 August from Plaza de Mayo, in the heart of bustling Buenos Aires, which has been garnering widespread support.What is it about? KS: Actually, there is a sizable campaign underway to collect petitions demanding that this injustice be stopped, spearheaded by Professor Luis D’Elia, who heads an umbrella group of many social and human rights movements. He’s conducted several “juntas de firmas” and so far several thousand signatures have been collected. The number is growing daily. This past week alone we picked up a few thousand more. VN: Are you satisfied with the letter recently sent by the Argentinian authorities in response to Interpol’s abusive meddling? KS: Yes. It was essentially a signal to them that they cannot intervene. And the court of course followed the correct protocol, which is important. VN: It should be crystal clear by now that what Washington really wants is your Ground Zero footage which it fears may contain evidence countering it’s version of 9/11. Not only does that single you out as the most credible witness in a position to testify against the United States, but also as one of the few, if not the only, U.S. citizens, who has formally applied for refugee status vis-à-vis the world’s most powerful nation. That’s quite a burden! KS: It’s obvious to me by their actions that they’re equally as motivated by vengeance at this point. I am sure there are many people (entire nations even!) who wish to be protected from unjust persecution by the United States. I am not sure how many there are who could be actual citizens of the United States. But nationality should not be factored in to the decision to grant a person refugee status. If a person is being unjustly persecuted by any government, he or she should be granted permanent refugee status, regardless of which country he or she is from. The problem is that the entities involved in granting refugee status are closely tied to the United Nations, which is completely under the financial and political control of the United States. VN: Have you ever envisaged the possibility that you could be used as a bargaining chip between the two countries? KS: Knowing how America operates, of course I have. But my wife Paula, knowing full well Argentina’s commitment to the protection of Human Rights (the result of being subjected to a US-backed dictatorship a few decades ago), completely discounts that possibility and affirms that the current administration of President Cristina Kirchner would never use a human being as a “bargaining chip”. Rejecting my extradition is a testament to the Argentine government’s independence and commitment to human rights.Aside from that, there are two different edicts written by the highest authorities of Argentina’s National Ministry of Human Rights establishing that the extradition cannot be conceded due to the “international responsibility that this would imply for the Nation of Argentina” and stipulating that my “migratory situation” must be regularized as well — as I have an Argentine wife and two Argentine daughters and we therefore comprise an Argentine family, deserving of protection. All of that is in ADDITION to two strong rulings in my favor by the Argentine Federal Court and two by the Argentine Supreme Court. If you include in that number the initial decision by the Denver court to dismiss the case against me back in 2002, you have a total of FIVE impartial courts that have now looked at the true evidence and have subsequently ruled in my favor. VN: Last year you said that you had decided to go public in order to protect your family. In hindsight, would you do it again. VN: Sticking to the same logic, have you taken any steps to release your material? KS: In fact, I have released photos, documents and videos to important investigators around the world — in the US, Argentina, Western Europe, Central Europe, etc. I’m in contact with many analysts, investigators and documentary producers, whose names, of course, I cannot reveal.I’ve read a lot of commentaries asking why I don’t just upload everything on YouTube. But I have some moral issues with that. It’s not for entertainment and should not be treated superficially. 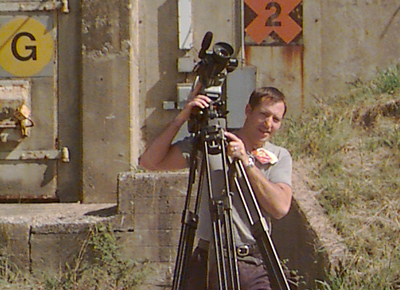 Secondly, you have to remember that the first time I agreed to show some of my footage and talk about my experiences on television back in 2004, I was arrested just days before the show was to air and imprisoned for 7 months. Since then my life and the lives of those close to me have been consumed by this fight against injustice and the world’s only superpower. We are in the midst of an ongoing legal battle. It’s like walking on a razor’s edge. I’m not in a position to just throw it out and see what happens. VN: Have you heard from any of your former FEMA colleagues who were with you at Ground Zero? KS: Initially, many of my colleagues rallied in my support and we were in frequent contact — through telephone, e-mail and even face-to-face. But one by one, they’ve dropped away. In a way, I expected that. I do know that at least one of them was recently awarded a fat “anti-terrorism” contract with the FBI. Still, I have many supportive and loyal friends in the United States outside of government. VN: As a U.S. Government employee, you were also detailed to a number of secret military and laboratory facilities where you filmed things which your government would certainly want you to keep quiet about. Is it part of the material that you are likely to release? KS: Although many of my large format tapes were stolen during my first imprisonment, I still have some videos that were in a box of junk cassettes marked “recyle” that I kept under the stairs in my basement. They were not just from FEMA assignments. Some were from other contracts I had. Jobs I did for the Department of Defense, Department of Energy, etc. etc. For example, I still have footage of bunkers full of sarin VX and GB warheads, “tonne” containers full of neurotoxins and mustard gas, all of which were banned by the Chemical Weapons Ban Treaty. In addition I have footage of the disassembly of a nuclear weapon, nuclear transport vehicles, Department of Defense radars along the Bering Strait in Alaska, etc., etc. I’ve been to all of the national laboratories created in relation to the Manhattan Project, proving grounds, test sites and a lot of other very interesting places in addition to the World Trade Center. VN:When it comes to Ground Zero, the majority of experts have focused exclusively on WTC1, WTC2 and WTC7. Yet, you also referred to a bizarre phenomenon relating to WTC6 which few appear to have paid attention to. What was so strange about it? KS: Building Six struck me (and many others) as bizarre from my first days inside Ground Zero, and there are still no answers. Looking at aerial and satellite photos, you can see that there is a huge, nearly-empty crater from the roof all the way down to the ground floor. It looked like a gigantic crane had scooped out the insides. What happened to all the rubble that should have been inside that crater? I can’t explain it. VN: In addition to Building 6, there were a wide range of anomalies within the Ground Zero perimeter and beyond, which few people have actually dwelled on, but which could have a strategic value for a future investigation. 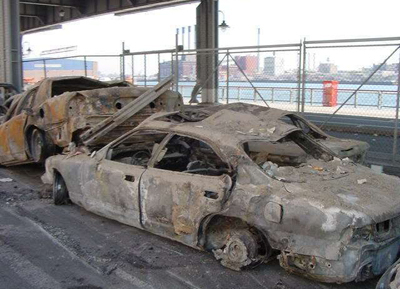 For example, the tons of unburned paper when everything else had turned to dust and the cars that literally melted as far as a half-mile away from the site of the actual attacks. Were you struck by any of these phenomena at the time? KS: There were many things even to the casual observer that didn’t seem to make much sense. I’m not the one to make educated observations about many of the physical anomalies, though. I studied International Relations and Economics and not a lot of hard science. VN: In Argentina, you have made several television appearances denouncing U.S. imperialism and its expanding military agenda. What is your assessment of the Obama administration? KS: Obediently following orders from above: the same very powerful people who profit by making machines that destroy and who then profit later by rebuilding the things that they destroyed! Haliburton recently was awarded a multi-billion dollar petroleum contract in Iraq. Blackwater (now Xe Services), the private “security company” which is actually a huge arms exporter, is raking in astronomical profits. Even Joe Allbaugh, Director of FEMA under Bush at the time of the attacks on the World Trade Center, is now doing lucrative business in Iraq. The war in Afghanistan continues, the occupation of Iraq continues. And more spoils are soon to be won! Drums of war are beating for Iran, North Korea, Pakistan, Yemen, etc. etc. US military bases are being installed in every part of the world, and the CIA is now converted into a paramilitary organization which is conducting secret wars around the globe, generously funded by the unlimited and unaccountable “black budget” of the US Department of Defense. What’s different? Guantanamo continues. The “Patriot Act” continues. “Selective assassinations” and “extraordinary renditions” continue. The withering away of civil and human rights continues. The war on terrorism is still being used as an excuse by the United States to militarize the globe and subvert the sovereignty and culture of other nations. The true motivation is hegemonic expansionism. With Obama, everything is still going exactly according to plan. The “New American Century” is now. VN: A campaign has been unleashed against the Argentinian government by some of the most powerful, privately-owned media which accuse it of interfering with the right of expression. Siding with the media, the U.S. Government expressed its concern over the situation. Would you comment on this? KS: Of course the US Government is “concerned”. They’re protecting their own interests, which are the same as those of the oligarchs who are trying to control the media throughout the world.Argentina’s legislation is similar to the law that existed in the United States before Ronald Reagan “de-regulated” the media and cleared the way for oligarchic media monopolies. And now we see the result of Reagan’s “de-regulation”. The US corporate media are now so outrageously “entrenched” in their role of adoring propagandists that you can almost hear the music of John Philip Sousa emanating from the newsroom. As Goebbels said, “He who controls the medium controls the message. And he who controls the message controls the masses..
VN: Getting back to your personal situation, what do you think would happen to you in the event of a forceful return? KS: Based on all of the malicious actions undertaken thus far by US authorities, it’s obvious that they have no intention of conducting a fair trial. They would probably claim that I “confessed on the flight back” — if in fact I actually made it back — or, worse still, that I “tried to escape” — and we know what that would mean. What is sure is that you would not hear from me again. Mission accomplished, as they say. VN: What should ideally be the next step to guarantee your enduring safety and that of your family? KS: Ideally, the next step would be that the prosecutor in Denver again requests the dismissal of the false charge against me, as she did in 2002 after studying the abundant evidence that exonerates me. But that’s highly improbable, since her ultimate boss at the time, Bush’s Attorney General John Ashcroft, intervened 2 years afterwords to pressure her to secure my return to US control. Absent of that, my family and I will wait for the Argentine Supreme Court to do what is right, what we are confident they will do: reject for the third time the US request for my extradition so that our family can live in peace. VN: Thank you for your interview. Let’s hope the next one will bring good tidings. Thierry Meyssan: French political analyst, founder and chairman of theVoltaire Network and the Axis for Peace conference. He publishes columns dealing with international relations in daily newspapers and weekly magazines in Arabic, Spanish and Russian. Last books published in English :9/11 the Big Lie and Pentagate. Gaia Edwards: Political researcher and Voltaire Network editorial assistant, based partly in Buenos Aires (Argentina).